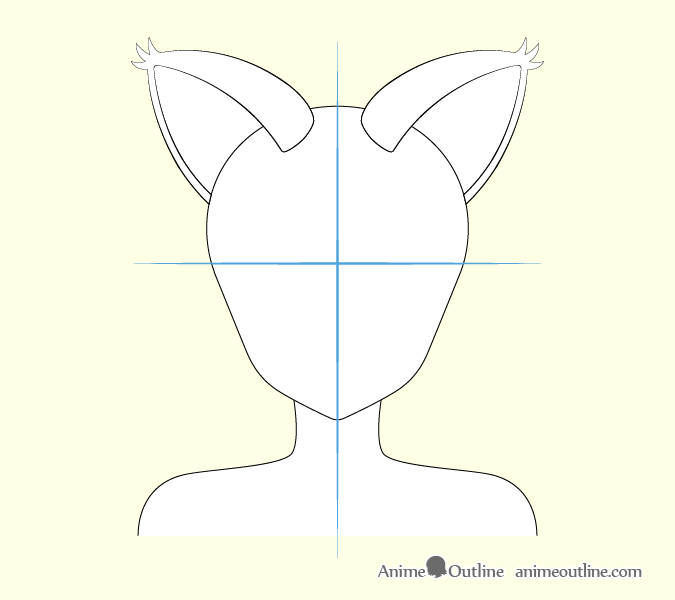 This quick tutorial explains how to draw an anime cat girl with animal ears. 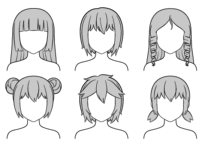 It can also be applied to drawing other types of anime style animal ear characters. If you are going to follow the tutorial along using pencil and paper be sure to draw light lines for initial steps as you will need to do some erasing later. 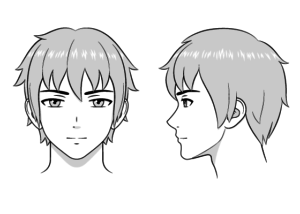 Start by first drawing the head. 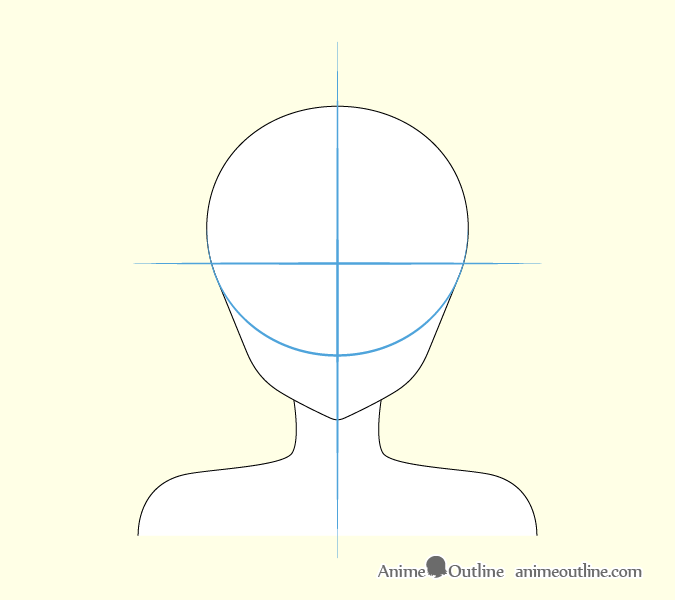 To help you make sure the head and other features that will be drawn in later steps are symmetrical and evenly placed draw a vertical and a horizontal line intersecting at what will later be the middle of the head/face. 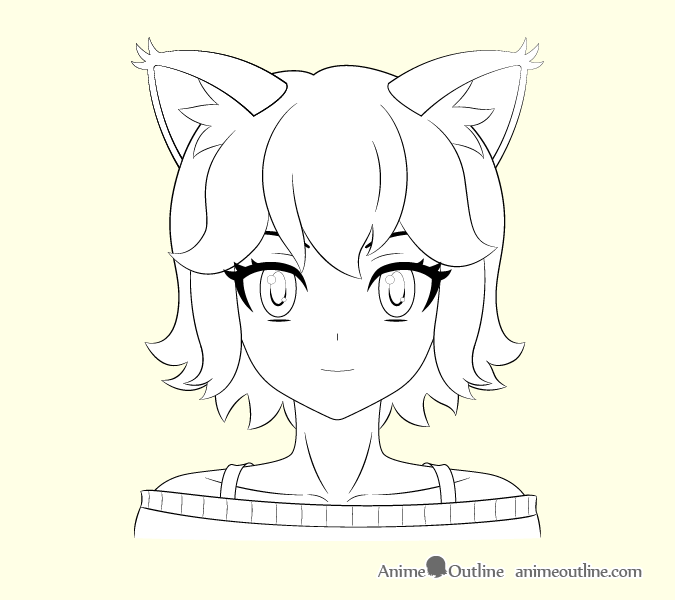 As there are already plenty of tutorials here on AnimeOutline that show how to draw the head we will not go into it in much detail in this tutorial. To be able to better understand how to place the cat ears on the head we will draw the main shape of the ears before drawing the hair. 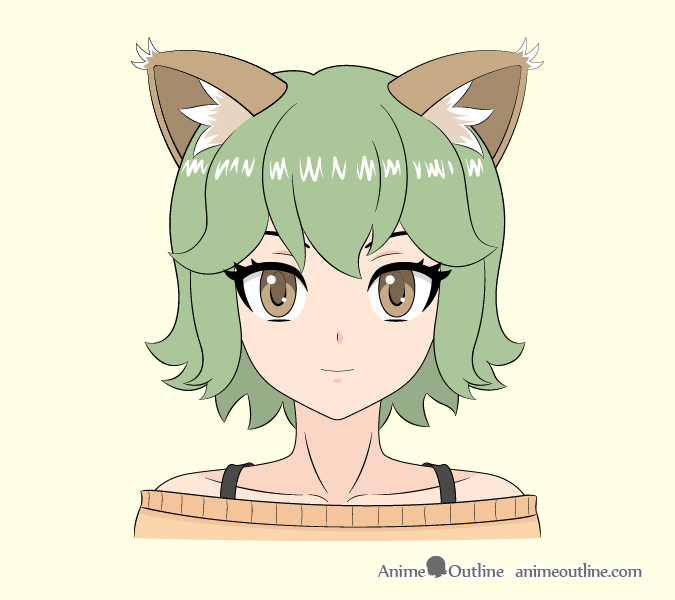 Keep in mind that the hair has some volume and will cover the bottom part of the ears. You will want to draw the ears slightly longer than what you want to be visible in the final drawing. The overall shape of each ear should be somewhat similar to a triangle. The far side (away from the viewer) of the ears will be hidden around the curve of the head. On the end of the ears you can add some little fur clumps. Certain breeds of cats tend to have fur sticking out like that on the tips of their ears. 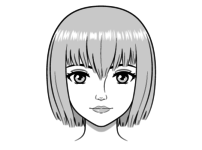 To place the facial features draw the eyes below the horizontal line drawn earlier, draw the nose between that line and the chin and draw the mouth slightly above the halfway point between the nose and the chin. As mentioned earlier the bottom part of the ears will be covered by the hair. 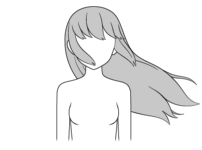 For this particular hairstyle we will draw the hair in fairly large clumps. It will somewhat follow the shape of the top of the head and will than hang down curving in slightly different directions towards the ends. Add some fur to the inside of the ears drawn it in clumps similar to the hair. 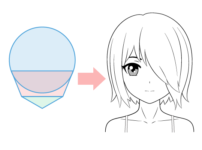 Clean up your drawing by erasing/removing any guidelines and parts that are hidden by the hair. 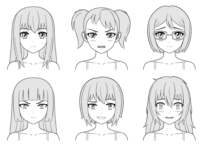 You may notice that there are some basic clothes and body details added in this step. To color and shade your drawing start by coloring in the largest areas with the base color. Leave any highlights/reflections blank if coloring on paper or apply them at the end of the coloring process if drawing digitally. Darken the shaded areas after you finish the basic color fill. 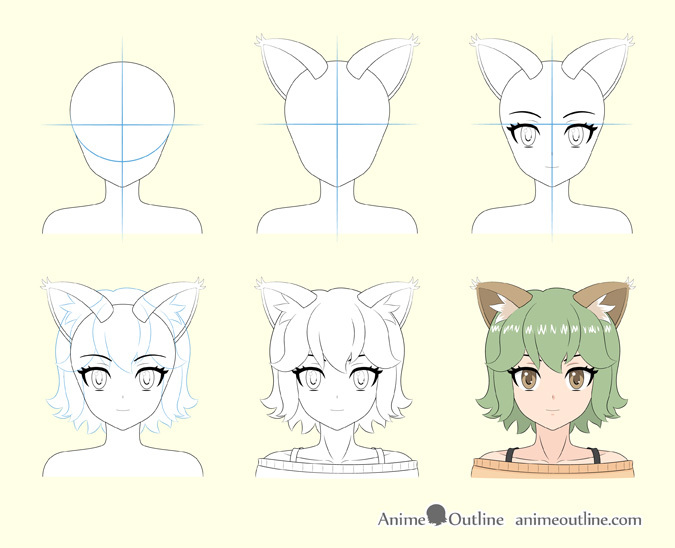 As the focus of this tutorial was on cat ears it was fairly short and didn’t cover the other aspects of drawing an anime character in great detail. 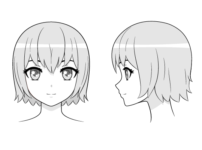 For more on drawing anime characters you can always check the other tutorials on the site. 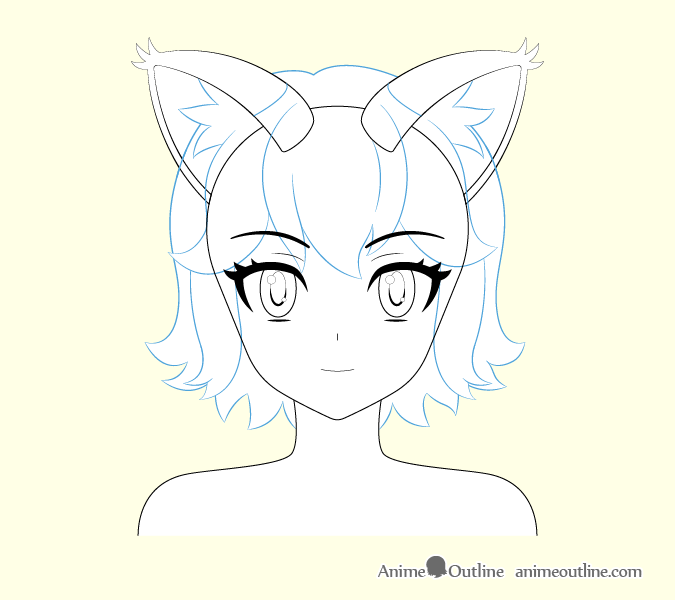 © 2019 AnimeOutline, All Rights Reserved.